Clean out the Fridge Veggie Soup- my veggies were about to go bad so I threw them all into this awesome fresh soup! -You can also add some shredded Parmesan cheese when you are about to serve. Any veggie can be used in this soup and it would be good. This soup turned out so yummy! -I do not add salt to my food. I figure that packaged foods have plenty of it and do not need any extra. -I did not add any oil. In the beginning, you can cook the veggies in water and add spices later for flavor. Why added excess oil for no reason? 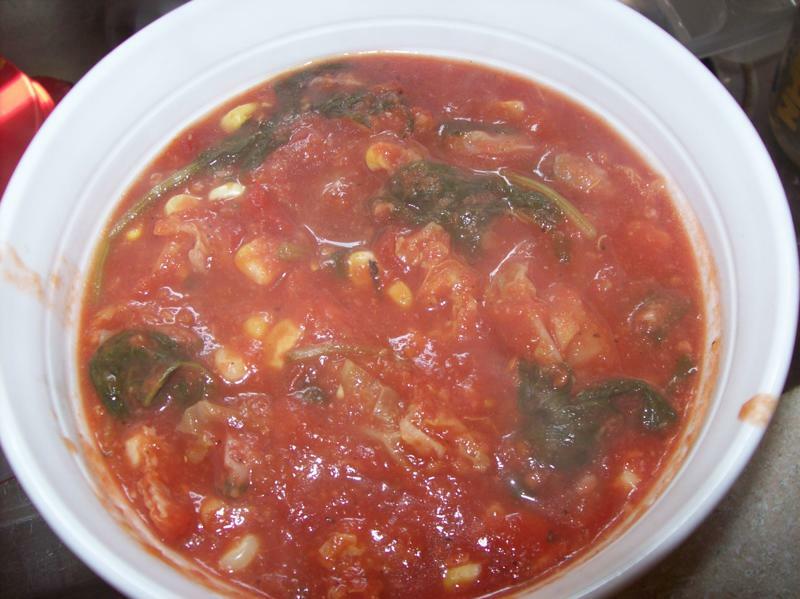 -A soup that is 90% veggies is great for you! I left my computer last night to get a snack and look how I found Ava. 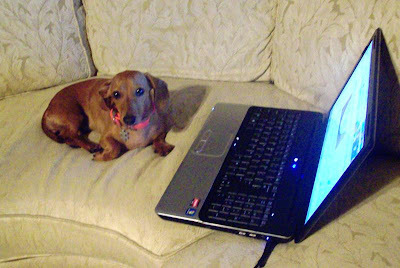 I think that she was blogging! Little scoundrel! What a great way to use up extra veggies before they go bad! I'm bookmarking this. Thanks for stopping by my blog...I'm now following you! Aww what a cute little puppy! :) The couch looks awesome too! Thanks for stopping by my blog! Soup looks yummy! Thanks for the follow! I've returned the favor! Looking forward to seeing you back in my blog sometime! I love your little puppy Ava! Her nickname should be cupcake because she is as cute & sweet as a little cupcake and i love her very very much!And she loves her Aunt Nat. Hi I'm your newest follower and can't wait to see more of your posts. Visit me at http://inspirationsbyd.blogspot.com. I came from the FMB Tuesday hop. May I ask, how do you get items to review? Just wondering, I see it a lot on other blogs but have no idea how to get that. Such a clever soup recipe! I love sweet little Ava!